The week leading up to Memorial Day was a busy one for lawmakers concerned about veterans issues. Most significantly, the Senate on May 23 passed landmark legislation that would reform Veterans Affairs Department operations and create new openings for vets to receive private health care. The previous week, the House had overwhelmingly passed the VA Mission Act (shorthand for Veterans Affairs Maintaining Internal Systems and Strengthening Integrated Outside Networks), and President Trump was expected to sign it into law before Memorial Day. The massive bill, introduced by House Veterans' Affairs Committee Chairman Rep. Phil Roe, R-Tenn., dealt with a number of issues that for years proved to be political landmines. Thirty-seven veterans service organizations and other stakeholders supported the legislation. 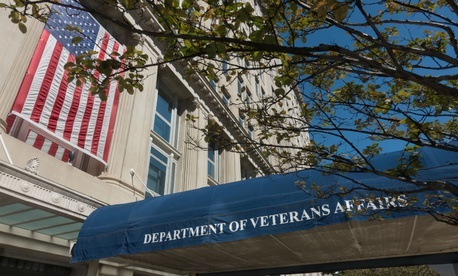 Notably, the American Federation of Government Employees, which represents 230,000 VA workers, opposed the measure, saying it would endanger the department by shifting resources toward the private sector. The Choice Program, which Congress established after the 2014 scandal involving department employees manipulating patient data to hide long wait times, is set to run out of funding by early June. The Mission Act would avoid that pending crisis by providing $5.2 billion for the program before sunsetting it permanently in one year. The bill overall would cost $52 billion over five years, according to the Congressional Budget Office. It also includes a provision to put VA through a process similar to the Defense Department’s Base Realignment and Closure Commission. The VA secretary will have to assess the department’s current capacity to provide health care in each of its networks and ultimately recommend facilities to close, modernize or realign. The secretary is to then pass those suggestions along to a presidentially-appointed, Senate-confirmed commission. That panel would submit its recommendations to the president, who would then have to approve of the plan in full, in part or reject it altogether. Congress would then have 45 days to vote down the plan or it would automatically go into effect. H.R. 1972: VA Billing Accountability Act authorizes VA to waive copayment requirements when the veteran is not billed in a timely manner. H.R. 3642: Military SAVE Act would require VA to carry out a pilot program to furnish community care to veterans who have experienced military sexual trauma. H.R. 3832: Veterans Opioid Abuse Prevention Act would allow for the greater sharing of information between VA and State-based prescription drug monitoring programs. H.R. 4245: Veterans’ Electronic Health Record Modernization Oversight Act of 2017 would strengthen congressional oversight of VA's electronic health record modernization program. H.R. 4830: SIT-REP Act would require that in order for a school or training program to be approved for GI Bill benefits they must adopt a policy that disallows the school or training program from imposing a late fee, denial of access to facilities or other penalty against the veteran or eligible dependent due to a late payment from VA. This would only apply if the payments have not been received within 90 days of the beginning of the term and the Secretary would have the authority to waive this requirement. H.R. 4958: Veterans’ Compensation Cost-of-Living Adjustment Act of 2018 would provide a cost-of-living adjustment for veterans disability, additional compensation for dependents, dependency and indemnity, and clothing allowance for certain disabled veterans. H.R. 5044: Service-Disabled Veterans Small Business Continuation Act would address a technical issue that has arisen from legislation that was passed last Congress related to rules for surviving spouses’ ability to claim service disabled veteran owned small business (SDVOSB) status for the Vets First contracting program. H.R. 5215: Veterans Affairs Purchase Card Misuse Mitigation Act would strengthen controls over government purchase card misuse. H.R. 5418: Veterans Affairs Medical-Surgical Purchasing Stabilization Act would reform the VA Medical Surgical Prime Vendor (MSPV) purchase program. H.R. 4334: Improving Oversight of Women Veterans’ Care Act of 2017 would require VA to submit reports on access to gender-specific care in the community and environment of care standards for women veterans. H.R. 4451: Homeless Veterans’ Reintegration Programs Reauthorization Act of 2018 would reauthorize the Homeless Veterans Reintegration Program (HVRP) as well as the Homeless Women Veterans and Homeless Veterans With Children Reintegration Grant Program (HVRP-W) for five years. The bill would also clarify eligibility for both programs to include incarcerated veterans and veterans using a HUD-VASH voucher.